This list of gift ideas for insomnias is for people with insomnia have a hard time falling, staying asleep or even wanting to sleep. There are different reasons why – from daily life stressors to the loss of a loved one, important events or even circadian rhythms out of balance. Per my readers request, I’ve put together some of the best healthy Christmas gift ideas and suggestions- for those of you can’t sleep. There are many lists out there but, the best inexpensive gifts for those insomniacs in our lives will truly help them relax, ease into a deep sleep and forget they can’t sleep. I have written about ways to get rid of insomnia naturally which is linked to several chronic illnesses such as cardiovascular disease, Diabetes, Depression, ADHD, and even Cancer. I’ve scoured the internet for safe, effective and eco-friendly gifts so that YOU or your loved one can get solid sleep. If you are tired of conventional gifts, give them something that is really going to help. Unlike harmful and addicting pills- this Natural sleep aid will help you drift away to sleep naturally. 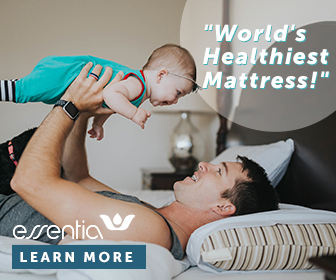 •Melatonin, L-Tryptophan, GABA, and 5-HTP – are natural reacting chemicals in our brain that controls our sleeping cycles which makes our body’s biological clock run smoothly and tell us when it is time to go to sleep. • Valerian, Goji berry, Chamomile, Lemon balm, and L-theanine – are known for their calming effects, they have long been a reliable remedy for helping people doze off. • Vitamin B6, Calcium Citrate and Magnesium Citrate – brings balance and controls stress hormones to help improve the quality of your sleep. These minerals contain tryptophan, an amino acid the body uses to produce melatonin, a natural hormone that helps induce and maintains sleep. • Ashwagandha, St. John’s Wort, Skullcap, hops, and Inositol – are natural adaptogens which protect the nervous system and aids in reducing the effects of stress and anxiety. Bamboo Viscose is a cellulose fiber that is extracted from natural bamboo and reshaped into viscose through a process of treatments. The cellulose material is dissolved in a strong solvent to make it thick. It creates a solution that is pushed through a spinneret where the strands solidify into fiber. We learned the bamboo plant is the fastest growing woody plant in the world! The growth rate and diverse location it can be grown in makes this plant a sustainable resource. We also know that bamboo needs very little water consumption and does not need pesticides or fertilizers in growth. It is a great organic base for textile fibers. Everyone knows cotton and most everyone knows that it is a plant. It is not man-made. It is a natural fiber. What many people don’t realize is the number of chemicals and pesticides used to produce cotton. These synthetic fertilizers create devastation to soil, water and the air. With this knowledge, we agreed that the alternative better suited our beliefs: organically grown cotton. Cotton that is grown without harmful chemicals. Organic farming is time-consuming and costs more, but its worth it. There are ways to target the root cause of Insomnia and tips to get rid of it effectively and naturally. Sometimes Insomniacs as much as the snorer have conditions such as Hypertension , elevated LDL cholesterol and the development of visceral fat which is linked to snoring and leads to a poor night’s sleep. Hectic days, impending activities, physical illnesses can lead to bouts of insufficient sleep. Even though we think we are getting a good night’s sleep, snoring is greatly reducing the quality of your sleep. I found these Anti-Snoring Nose Vents – Natural and Instant Snore Relief, BPA free made from environmentally friendly and non-toxic materials- making it a perfect healthy gift idea. STOPS SNORING NATURALLY – The Gideon Anti-Snoring Nose Vents are non-invasive and have absolutely no side effects. It is designed to be invisible, with only a thin silicone strip exposed while being used. / Upgraded and enhanced to be more comfortable. INSTANT SNORE RELIEF – The Gideon Anti-Snoring Nose Vents instantly stops snoring by maximizing the airflow in the nasal passageways. Pack includes a set of 4 pieces; use the nose vent that works best for you. COMFORTABLE & SAFE – Extremely comfortable. Made of soft medical grade silicone. Odor free and PBA free. These great cooling blankets use unique Outlast® technology to regulate your body’s temperature by absorbing heat when you get too warm and releasing it when you start to cool down. Better yet, they carry cooling sheets made of the same innovative fabric. Night-time sweats could cause numerous wake-ups, often times by your bedding or even sleepwear. However, awakenings can be reduced when you switch to pajamas created to absorb moisture and transport it to the outer surface of the fabric. A number of microfiber materials actually have the comfort and feel of natural cotton and have been created to retain those who wear cooler and drier. Cool-jams, for instance, offers a line of machine washable, wicking pajama sets. What’s even better is that a great number of them advertise for for less than $70. This extra strength formula relaxes the body and mind to transition into deep sleep without any next-day sluggishness. – This non-habit forming blend contains gentle ingredients such as Magnesium, Melatonin, L-Taurine, L-Theanine, Chamomile and 5-HTP to ease adults into more consistent nightly rest that leads to a better overall sleep cycle. Wake Up Feeling Amazing – With Zenwise Labs Sleep Support, you will greet every morning with amazing energy, alertness, and vibrancy. There’s no better feeling than waking up feeling completely refreshed and recharged to take on the day. Your body and mind will feel better than ever before! In traditional chinese medicine for Snoring, acupuncture clears congestion, helps with anxiety, pain and assists in overall health and energy levels. A reflexology session with a qualified therapist will absolutely help with proper rest. In case your insomniac hasn’t made an effort to try acupuncture or reflexology, you could possibly surprise him/her with a few treatments. An additional present for insomniacs is to go along with them to the appointment. Most things are a little easier whenever we do them together. 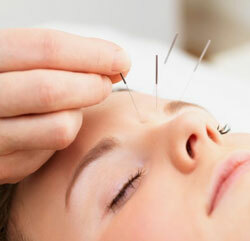 Keep in mind that an acupuncture or acupressure session for the first time might be overwhelming for certain people – primarily considering that a great number of tiny needles are involved. GABA stands for Gamma-Aminobutyric acid , a kind of neurotransmitter in the central nervous system which plays an important role in regulating brain activity and muscle tone in the body. GABA is well known as an ALL NATURAL SLEEP AID. It may help to ease nervous tension, reduce stress and anxiety, promoting positive mood and a feeling of well-being. GABA also supports healthy memory and cognitive functions by helping to improved concentration and lower hyperactivity and impulsivity. GABA may serve beneficial for athletes help to increase exercise endurance, promote lean muscle growth and relieve dull pain. SnoreCare Vents provide a warm, comfortable feeling and is virtually invisible to outsiders. Soft and enhanced Medical Grade Silicon is used to make SnoreCare Vents, making this solution the most comfortable anti-snoring device on the market. SnoreCare Vents have been scientifically designed to maximize airflow through the nasal passage that stops snoring altogether. As always, I welcome your experiences and comments below. If you have any gifts ideas for insomniacs and people who can’t sleep I would be happy to add them to this list.